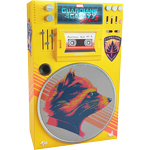 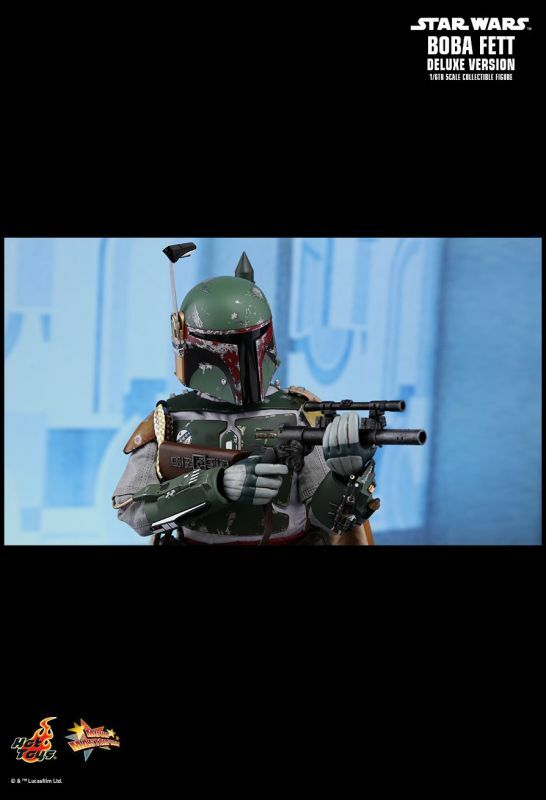 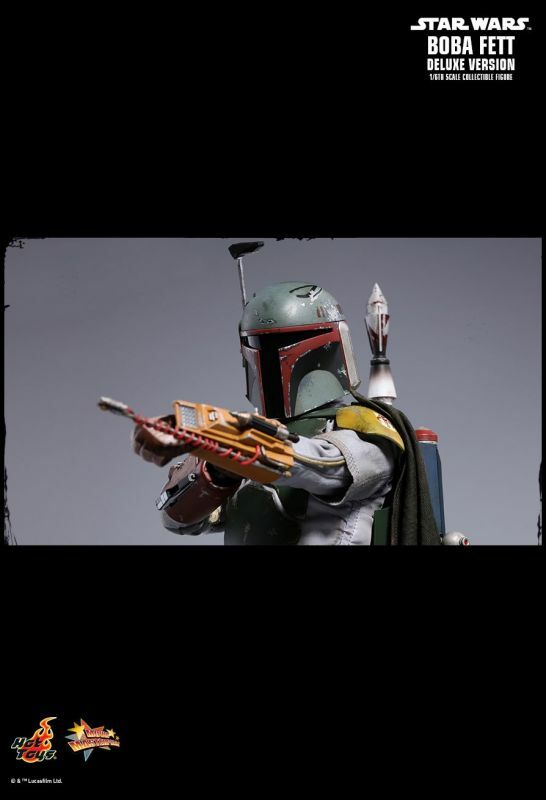 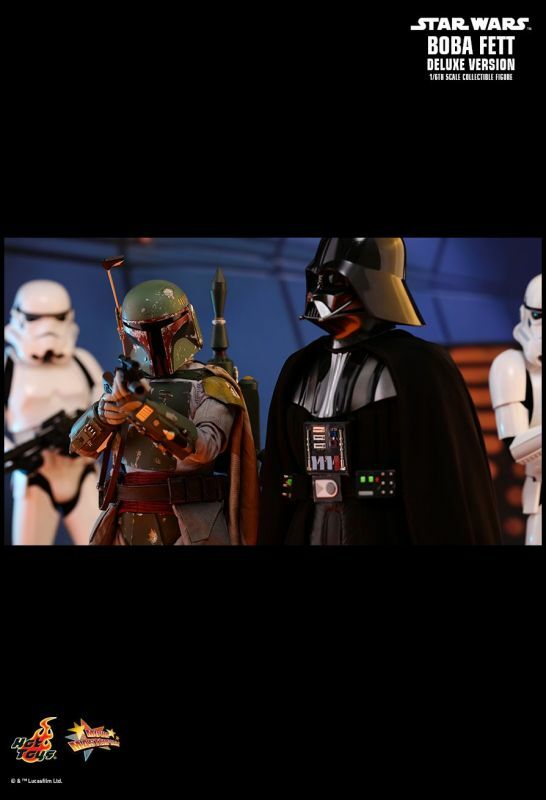 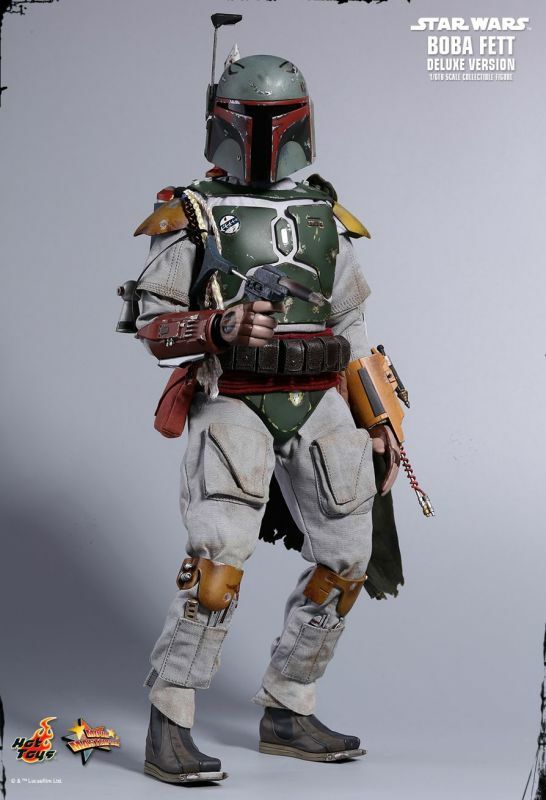 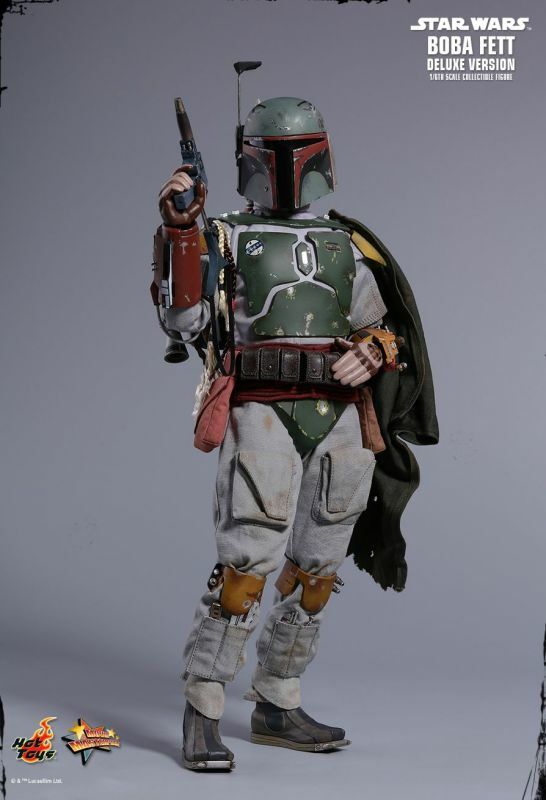 Armed with a customized Mandalorian armor, dangerous weaponry and highly trained combat skills, Boba Fett has earned a notorious reputation as one of the deadliest bounty hunter in the galaxy as he takes on contracts from the criminal underworld and the Galactic Empire. 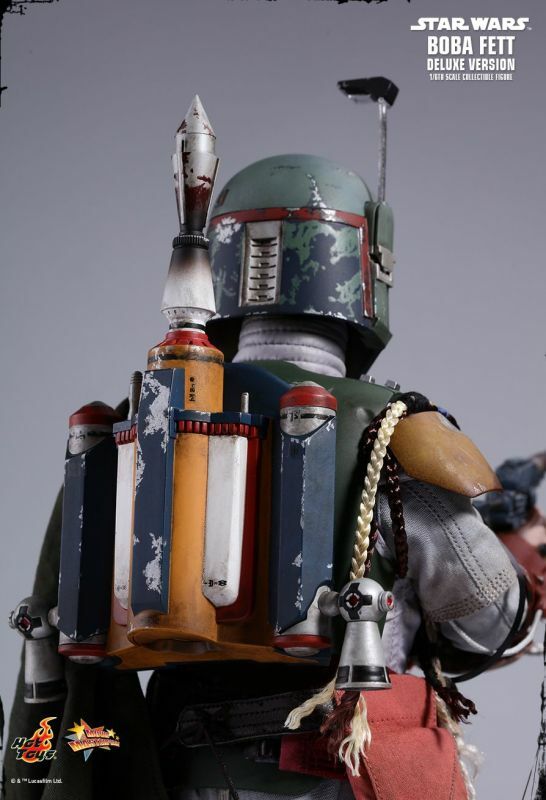 Boba Fett has left an unforgettable impression for many Star Wars fans when he was introduce on the silver screen in Star Wars: The Episode V The Empire Strikes Back, and today, Hot Toys is thrilled to present a very special Deluxe Version of the 1/6th scale Boba Fett collectible figure that will surely excite many Star Wars diehard fans with its unique display option! 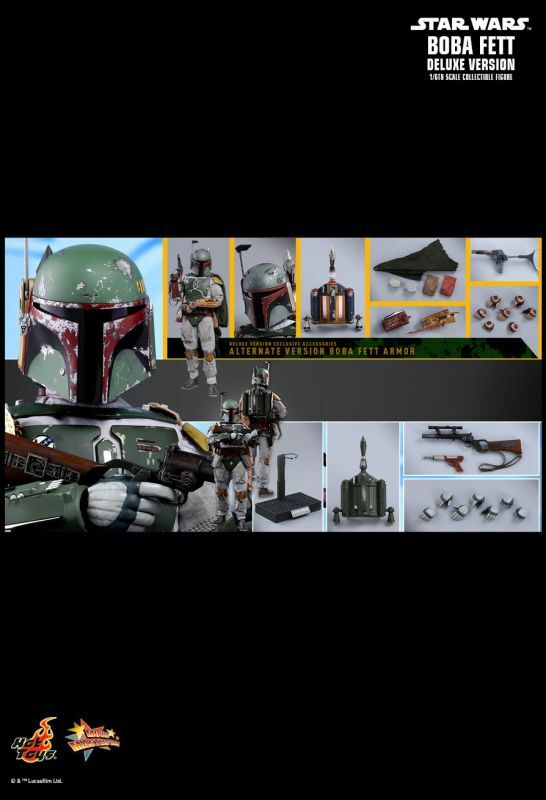 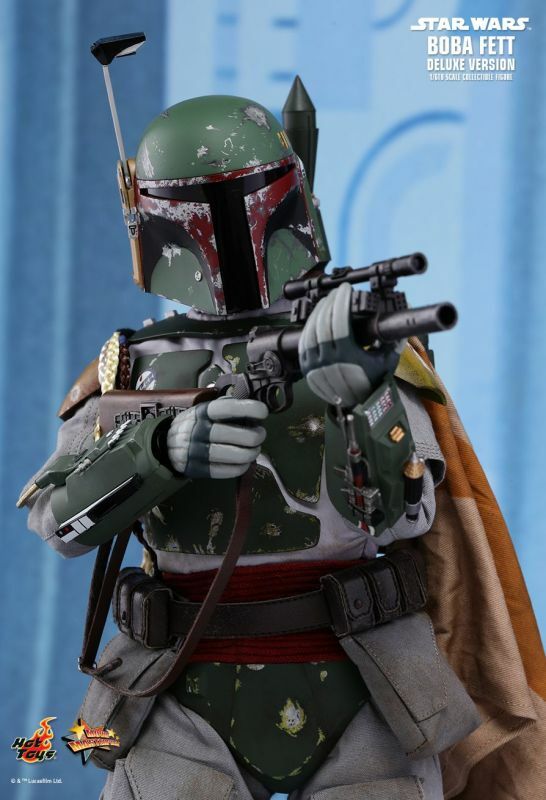 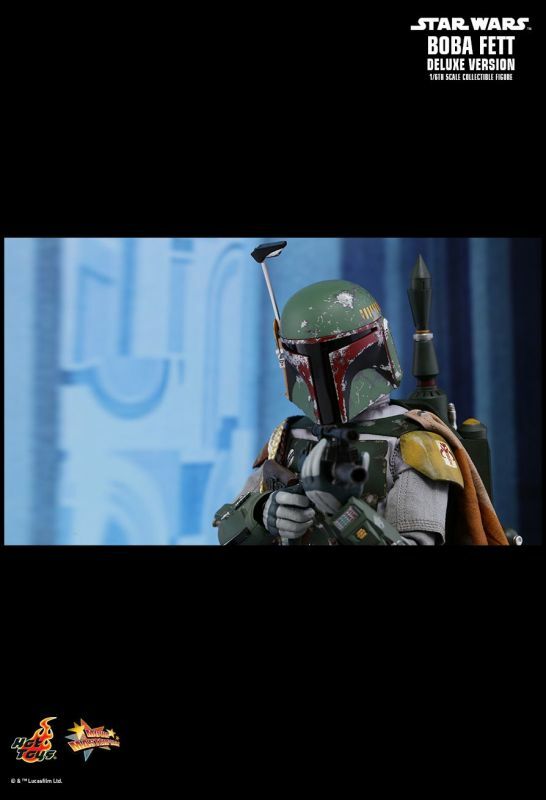 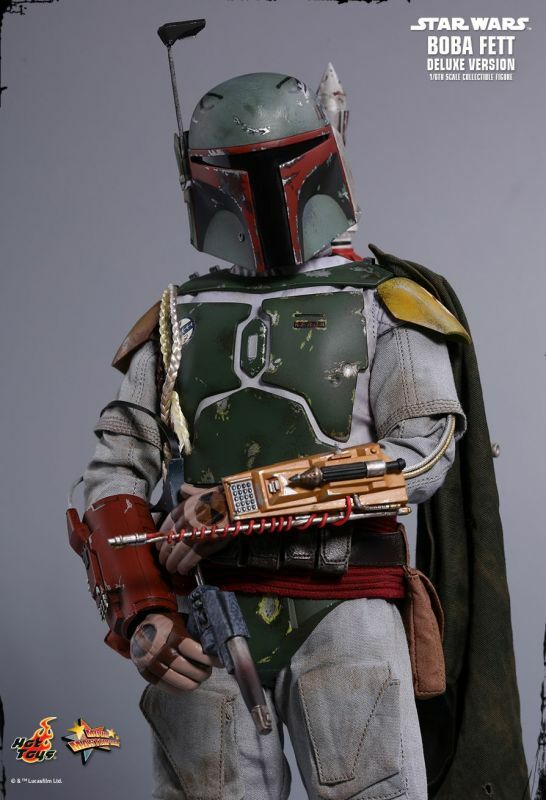 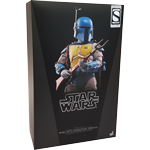 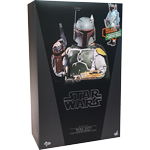 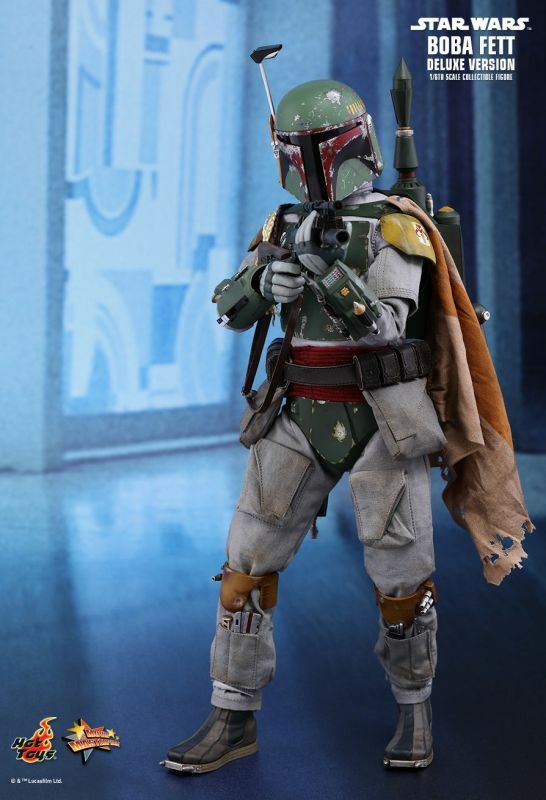 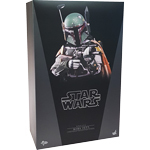 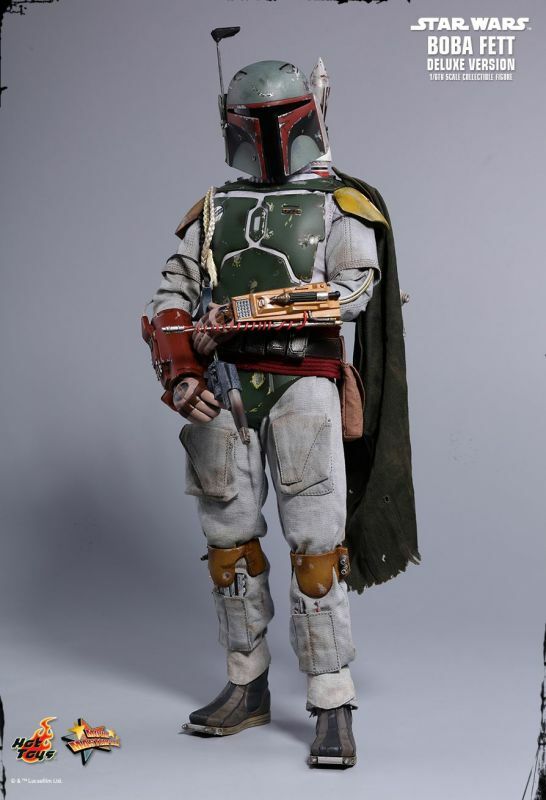 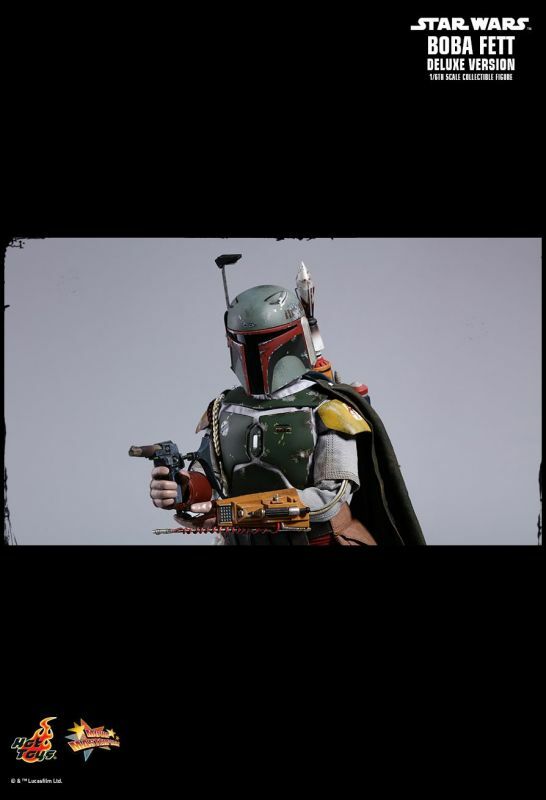 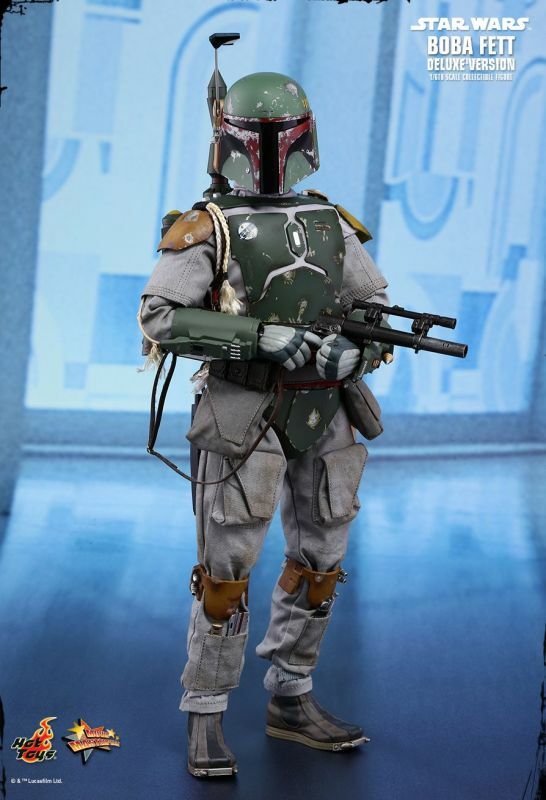 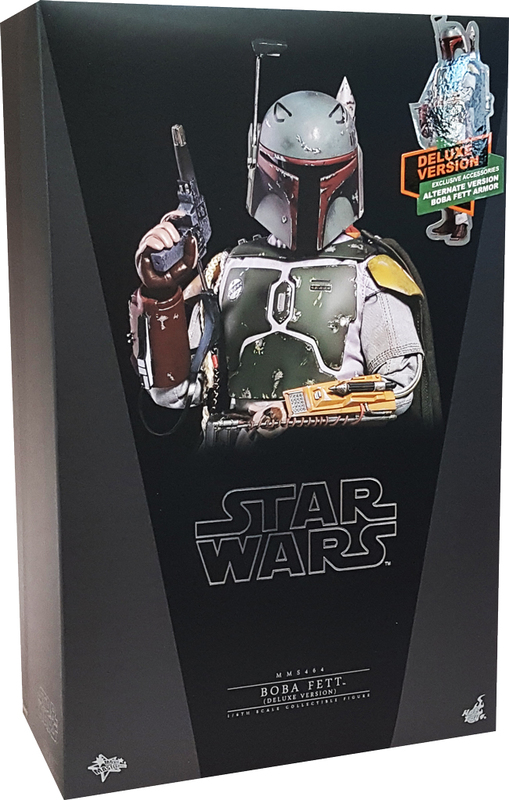 Based on his appearance in Star Wars: Episode V The Empire Strikes Back, the Boba Fett collectible figure features a meticulously crafted Mandalorian helmet and armor with distressed effects, his iconic jetpack, a cape, detailed blasters, and a figure stand! 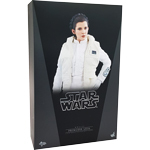 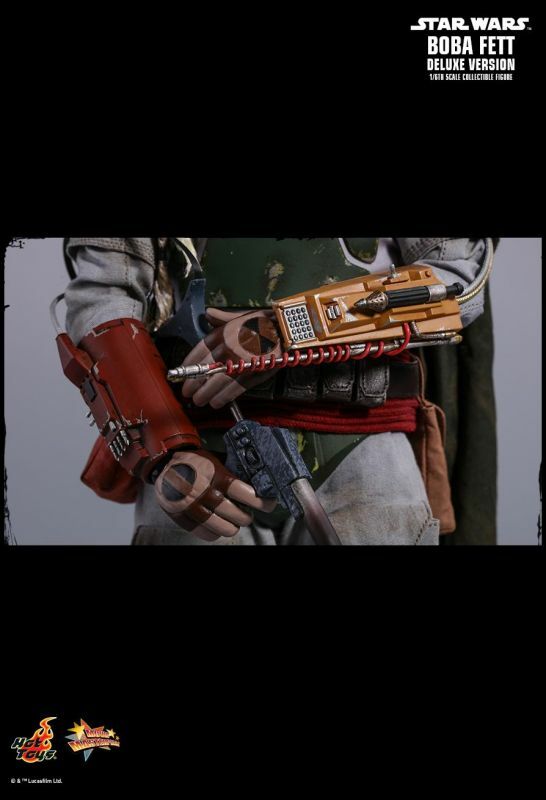 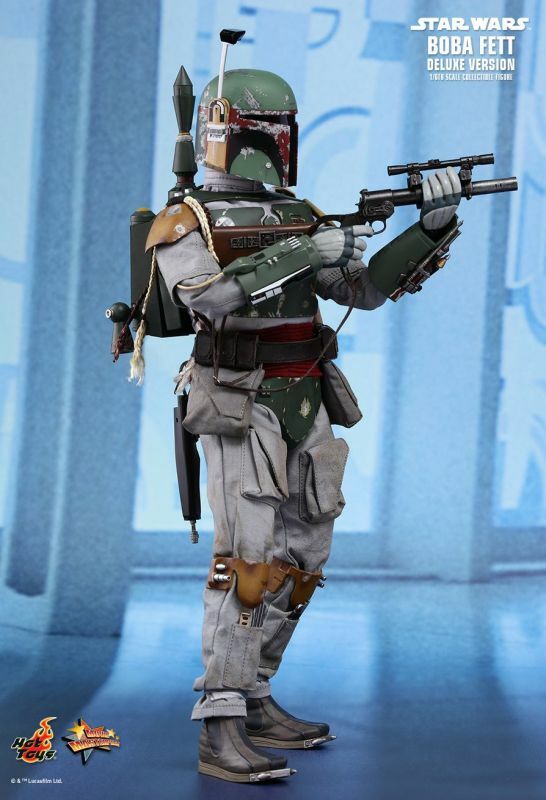 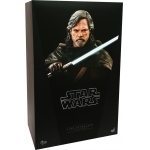 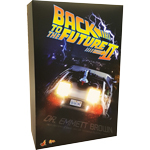 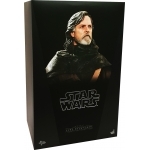 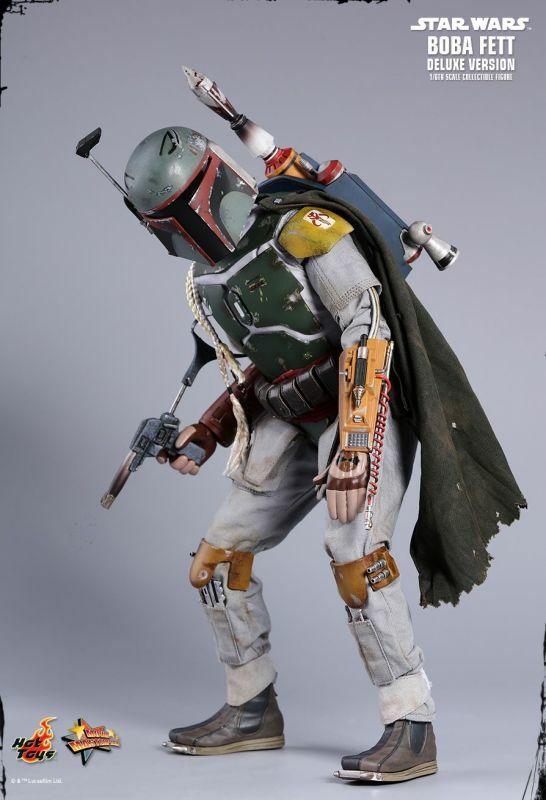 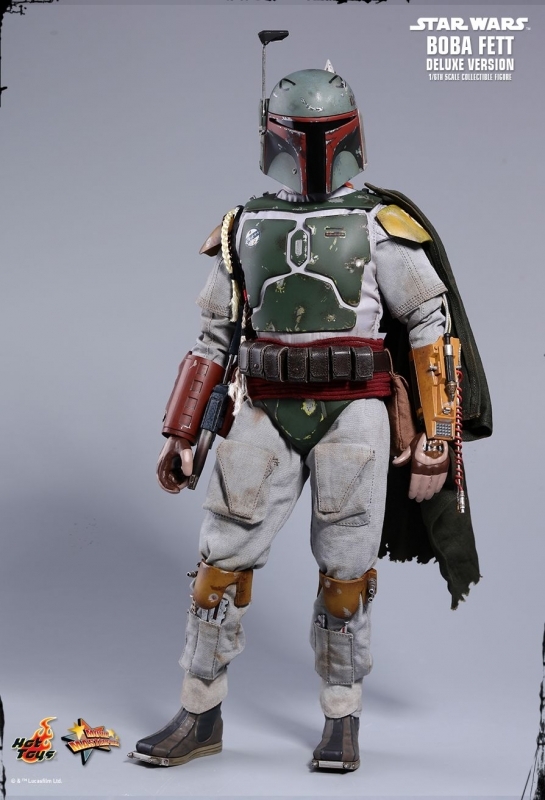 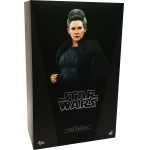 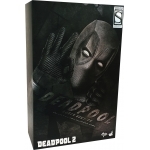 The biggest highlight of this Deluxe Version is none other than the fact that Boba Fett’s Alternate Version armor based on his “movie pre-production” look is realized for the first time on a 1/6th scale collectible figure and exclusively include a range of interchangeable parts such as helmet, jetpack, gauntlets, cape, and a number of gloved hands for fans to display this infamous bounty hunter’s stylistic look before his official appearance in Star Wars: The Episode V The Empire Strikes Back! 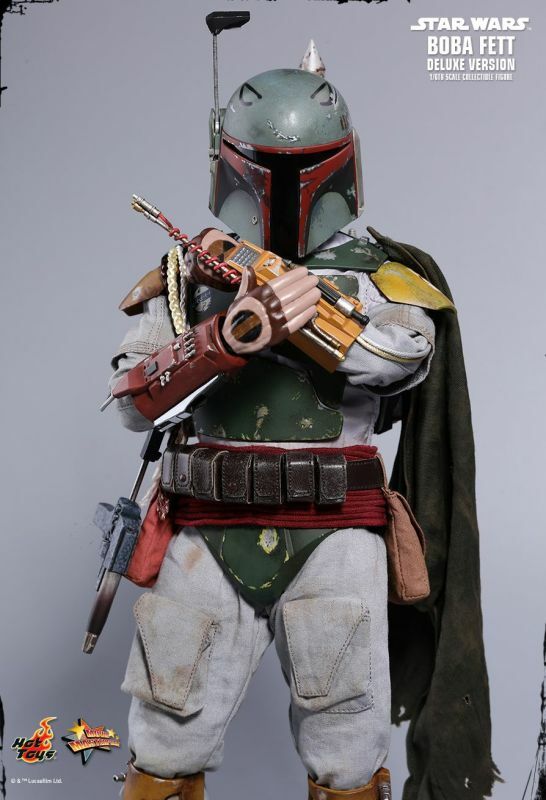 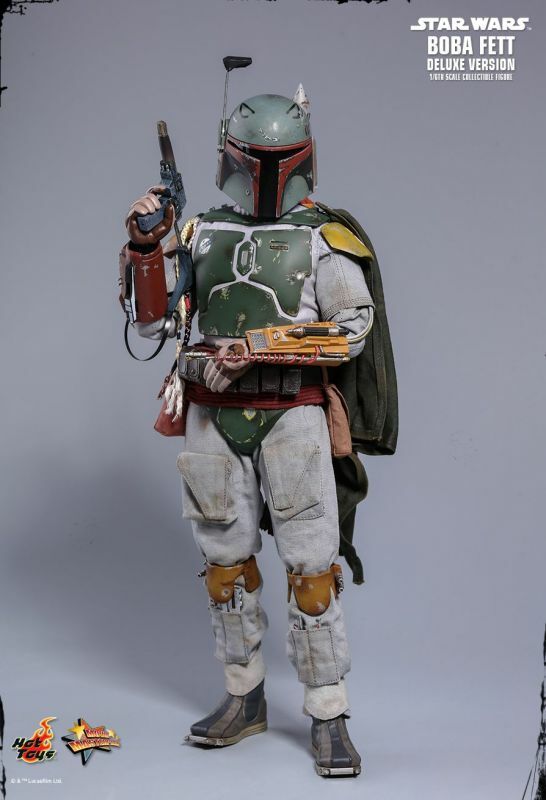 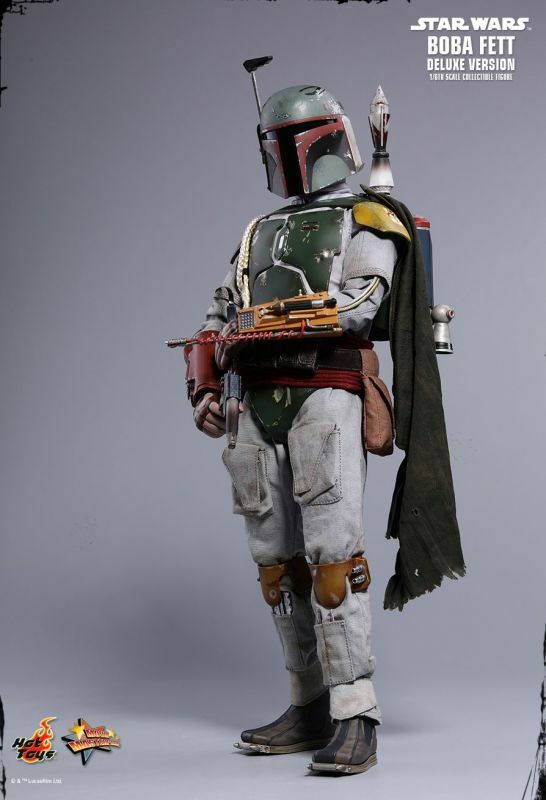 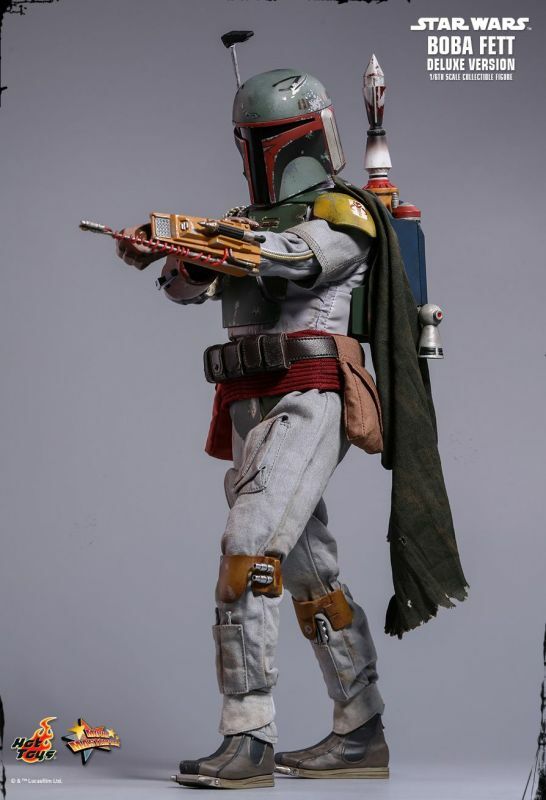 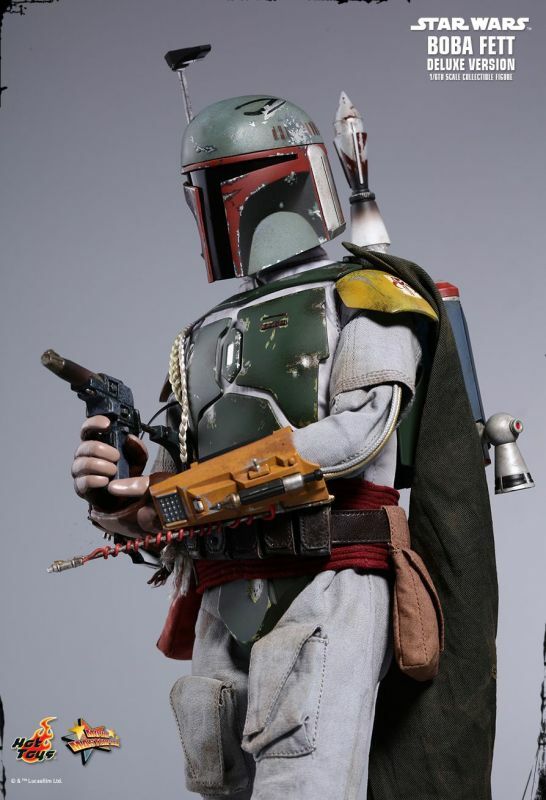 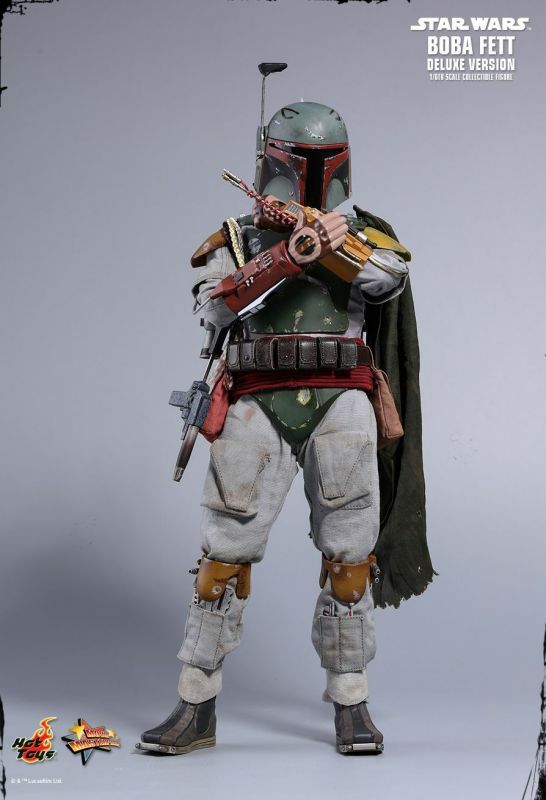 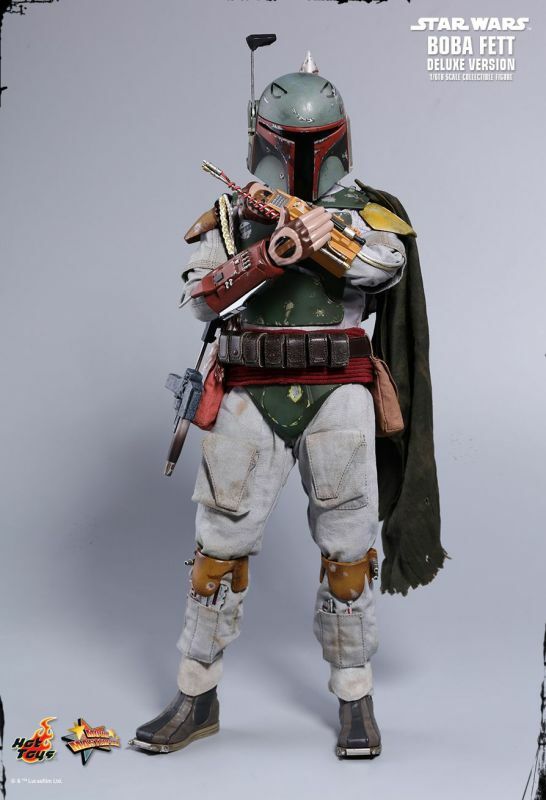 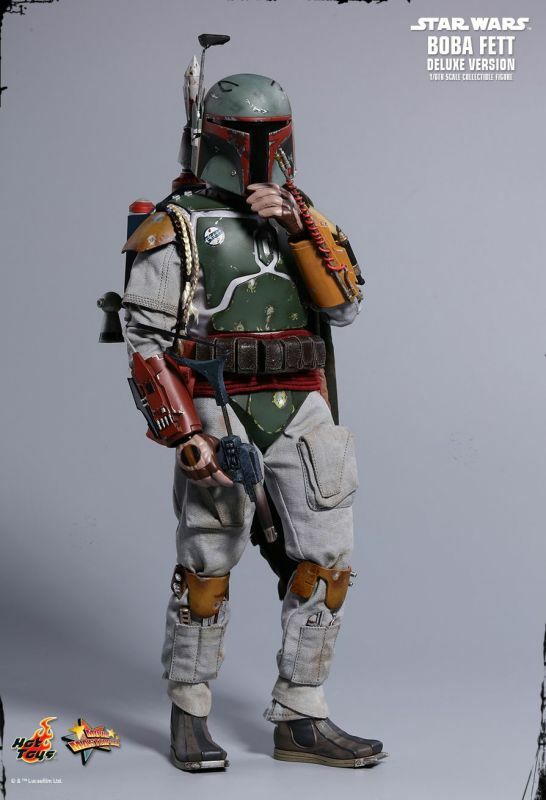 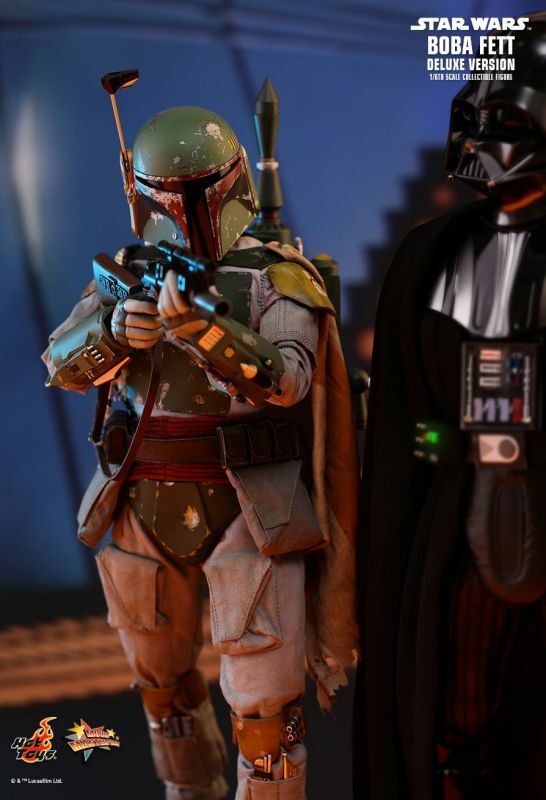 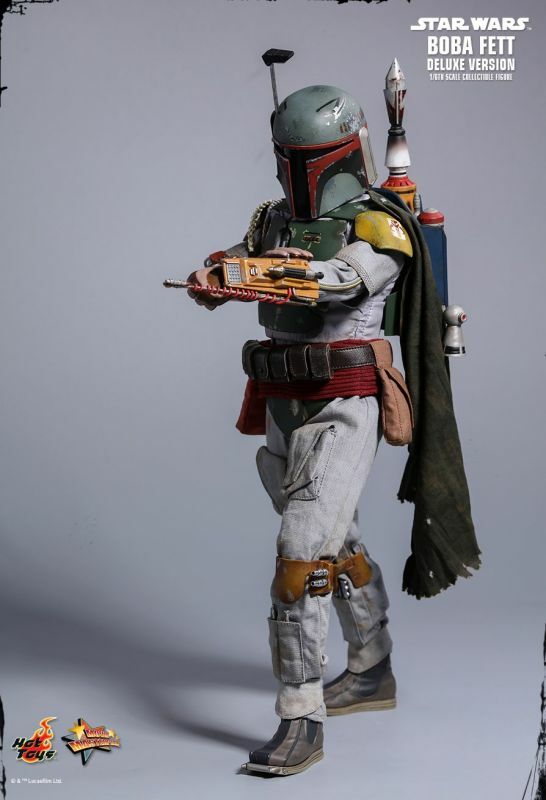 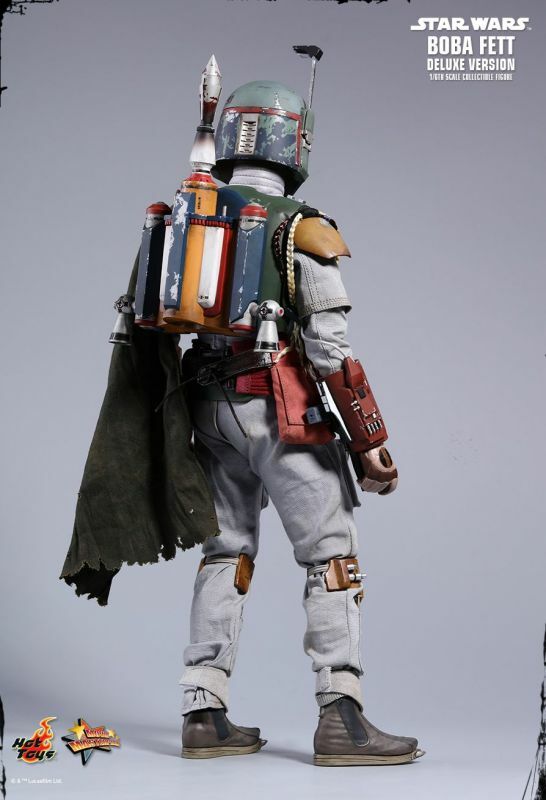 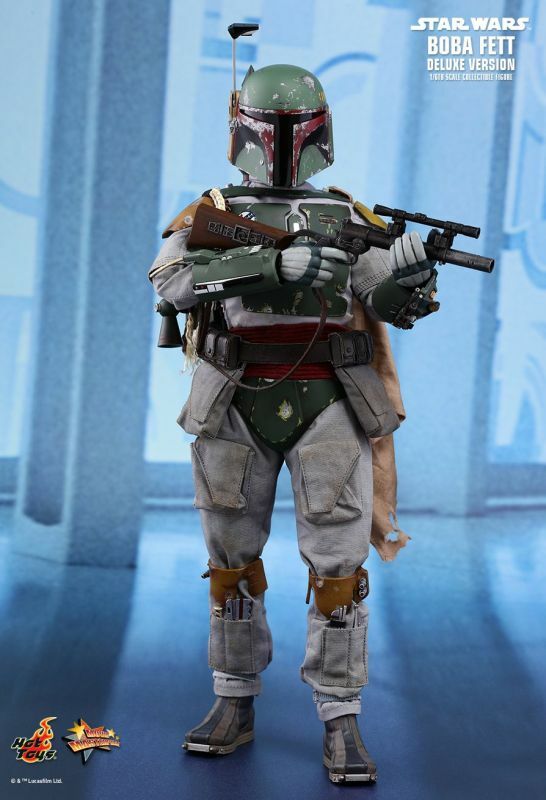 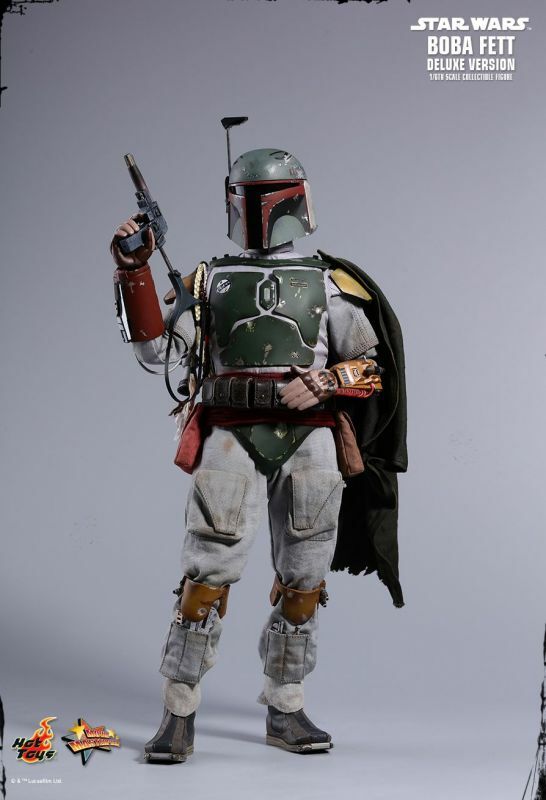 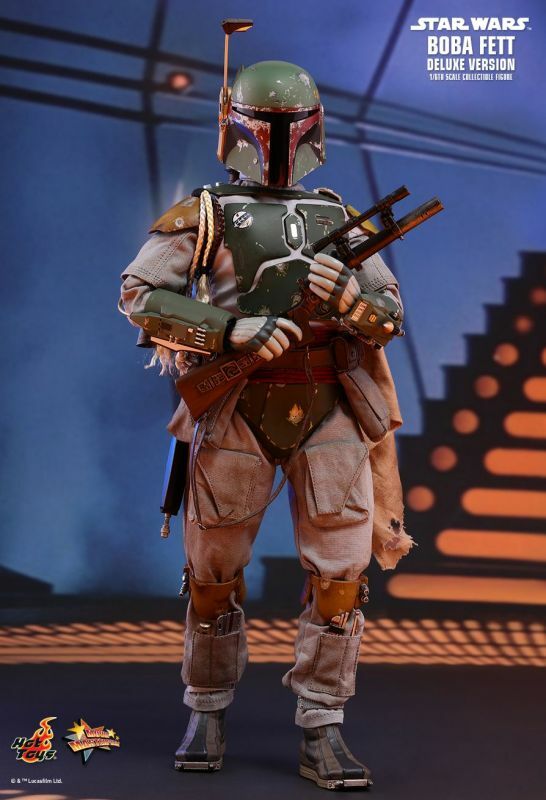 This new Boba Fett 1/6th scale collectible figure by Hot Toys will definitely be a remarkable movie masterpiece for your Star Wars collection!